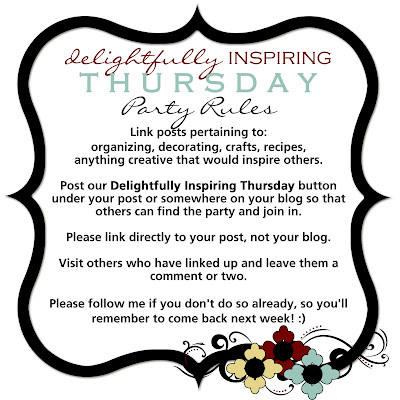 I loved seeing the links from last week & am truly hoping we have just as many or more today! You all have some amazing talent!! Thanks for sharing! Jaime @ Our Journey and OH SO Chichi! Hi DeNita. I'm new to your blog and really like it. I appreciate you letting me join the party. I posted about it on my blog and also added your button to my sidebar. I'd love to have you visit my blog too. I'm having a giveaway and I'd love you to enter and follow me. I just became a follower of yours on facebook and twitter too.